From Hong KongBrand: UnbrandedMaterial: SiliconeSize: 0-4.9 oz. 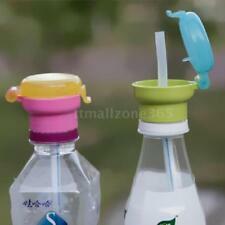 Kids Sippy Cup is made of top baby grade Tritan material, BPA free, hygienic and safe. 1 Straw Sippy Cup. 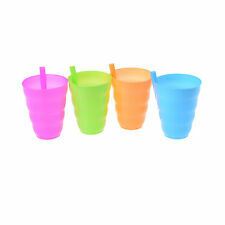 The baby straw cup is made of BPA free Tritan material, hygienic and safe. 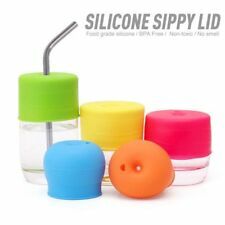 With ergonomic shaped handle, cap and soft silicone straw. NUK Learner Cup 6 months. Hello Kitty Design. Caution : Always supervise children when eating/drinking. To avoid injury, do not allow a child to walk or run with a cup. Care : Wash before first use. Top Rated SellerBrand: Skip HopType: Sippy CupSize: 12-13.9 oz. Richell Richell Acqua outdoor straw mug 320 ml pink. Fashionable clear bottle whose contents are easy to see. Richell LC 2 Hands Detachable Handle Straw Mug Cup Easy Grip Open Green 10 Oz. Feature : Removal Handle, Easy Grip Colour in the picture might be slightly different due to the lighting when picture is taken. Size : about 10 Oz. Origin: China. Color : Multiple Color - Green. I'll send your goods quickly with care. 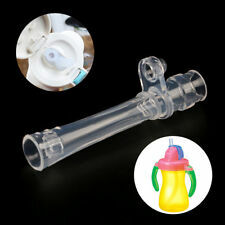 Material: PP Plastic Straw. It's convenient for baby to drink water, and easy to carry outside. 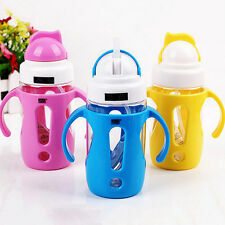 Learner cup help train your baby from bottle to cup easily. 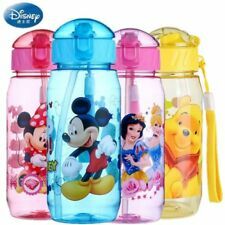 1 x Kids Water Bottle. Applicable age range: 9 months or more. From United StatesBrand: Philips AVENTColor: GreenSize: 10-11.9 oz. Perfect for kids, the Trudeau Maison Leon Tumbler with Straw Lid is ideal for serving your child's favorite beverages, including water, juice and milk. Made of BPA free polypropylene plastic, the Trudeau Maison Leon Tumbler with Straw Lid has a 250ml capacity and is dishwasher and microwave safe. It gives little ones a "big-kid cup" with the protection of a flip-top lid to make this milestone step much easier. Extra straw included. Handy velcro grab strap attaches to almost anything. Gives littles one a big-kid cup experience. Disney's Thermos Mickey Mouse Kids Travel Straw Mug/Cup 8 oz.